Well, Joe's at it again, and this time, it really is as embarrassing as it sounds. The Senator has taken pen to paper and written a letter to Google asking that its blogging platform Blogger be equipped with a flagging feature... for terrorists. This is largely because Jose Pimental, a man suspected of attempting to build a pipe bomb to attack the US military hosted his blog on Blogger. Now, there are a lot of terrible Blogger blogs to be sure, but is this really the best way to deal with such a problem? Talking Points Memo acquired the letter and published it earlier today. "Pimentel’s Internet activity — both his spreading of bomb-making instructions links and his hate-filled writings — were hosted by Google" writes Lieberman, going on to add that, unlike YouTube, "Blogger’s Content Policy does not expressly ban terrorist content nor does it provide a ‘flag’ feature for such content." 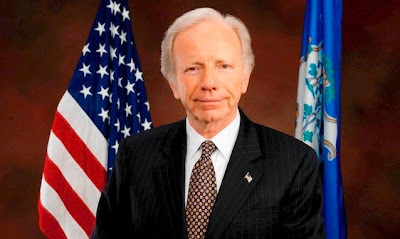 Google has not yet responded to Senator Lieberman's request for the Blogger kill switch.